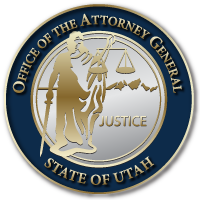 SALT LAKE CITY (May 13, 2015) –The Utah Attorney General’s Mortgage and Financial Fraud Unit filed criminal charges today against Layton resident Dwight Shane Baldwin, 34, for allegedly committing 14 Second Degree Felonies. The case was filed in the Third District Court with allegations of Securities Fraud, Communications Fraud, Theft, Unlawful Dealing with Property by a Fiduciary, and engaging in a Pattern of Unlawful Activity. “We appreciate the fine investigative work on this case performed by our partners, the Utah Division of Securities and the Federal Bureau of Investigation. We also thank the United States Attorney’s Office for inviting us to lead the prosecution of this case. Of course, we presume all defendants are innocent unless we can prove our case and we will continue to pursue this matter in a professional and responsible manner,” continued AG Reyes. The Affidavit of Probable Cause filed by the Attorney General’s Office claims that Mr. Baldwin, as founder and manager of Silverleaf Financial, allegedly purchased distressed debt that was secured to real property. Baldwin is said to have solicited funds to buy the property, then formed a corporation that he would manage. Investors in the corporation were allegedly promised large returns in exchange for their investment. During the course of many transactions, Mr. Baldwin allegedly obtained $14 million in investor funds with a continued promise of repayment and most of the funds have never been repaid. An investigation by the Utah Division of Securities and the Federal Bureau of Investigations revealed Mr. Baldwin allegedly engaged in numerous deceptions while trying to obtain investor funds, including misrepresenting expected investment returns. He is said to have told one investor he was investing $2 million in an asset purchase but never invested the money. In another transaction, he is accused of falsely telling multiple investors he had a buyer ready to purchase an asset and none of the investors were repaid any of their initial investment. It is also alleged that Mr. Baldwin stole $1 million from the corporation managing an investment and spent it on personal expenses.